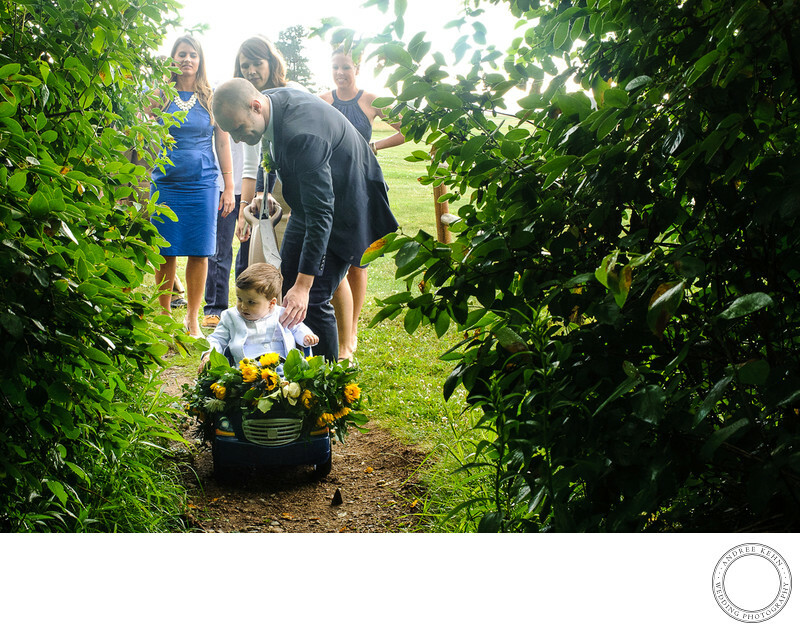 I love this wedding photo- a little boy being pushed to the ceremony, though a tunnel of trees. It says family and wedding and fun all int eh same image. The flowers on the wagon are all wedding all the way. This could got married on a bluff overlooking the ocean with their nearest and dearest in attendance. It really was incredible! Keywords: Andree Kehn (84), Andree Kehn Wedding Photography (1287). 1/80; f/16.0; ISO 1600; 35.0 mm.